The 10-Year Plan for Oregon created by Governor Kitzhaber in August 2011, identifies Healthy Environment as one of the six high-level outcome areas. The outcome area's focus is to manage Oregon’s air, water, land and wildlife resources to support a healthy environment that sustains Oregon communities, Oregon’s economy and the places Oregonians treasure. Oregon’s farms, forests, rangelands, waters and other natural resources provide the basic building blocks that support Oregon’s communities and economy. Oregon is known as a national leader in protecting its environment and for fostering a special relationship between its people and its places –natural resources also are key to Oregon’s economy. Agriculture, forestry and wood products are Oregon’s leading industries after high-tech manufacturing. Managing Oregon’s natural resources in a way that recognizes their critical role in providing jobs and supporting rural communities, while protecting the clean water and air Oregonians treasure, is fundamental to Oregon’s future. The Integrated Water Resources Strategy. Oregon Water Resources Commission. August 2012. The Strategy provides a blueprint to help the state better understand and meet its instream and out-of-stream needs, taking into account water quantity, water quality, and ecosystem needs. 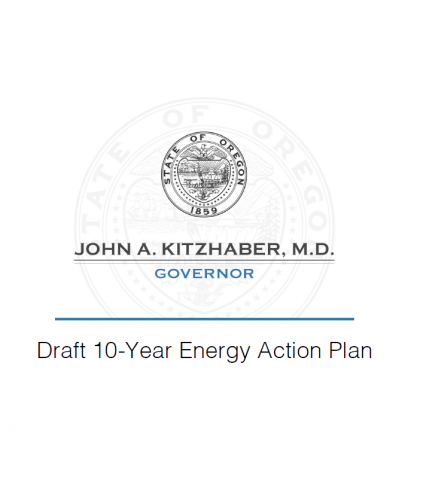 Ten Year Energy Action Plan for Oregon. Ten Year Energy Action Plan Task Force. Governor's Draft, June 5, 2012. The management plan presents proposals to advance climate and carbon policy; accelerate technology deployment and innovation; and engage citizens and communities. See also the Recommendations of the Oregon Energy Task Force. More information can be found at the Ten Year Energy Action Plan website. 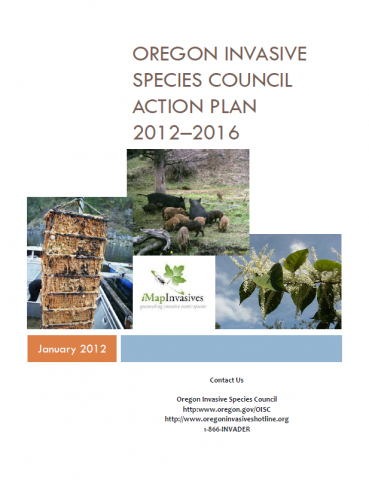 Oregon Invasive Species Council Action Plan 2012–2016. Oregon Invasive Species Council. January 2012. The Action Plan focuses on means to protect Oregon’s economy and natural resources by conducting a coordinated and thorough effort to keep invasive species out of Oregon and to eliminate, reduce, or mitigate the impacts of invasive species already established in Oregon. 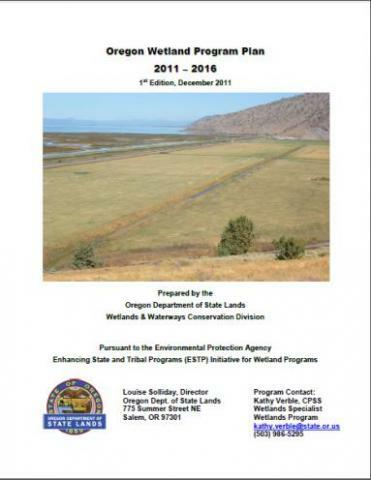 Oregon Wetland Program Plan 2011-2016. Oregon Department of State Lands. Wetlands & Waterways Conservation Division. December 2011. The Plan focuses on wetland protection and restoration work in a strategic way, and communicates long- and short-term objectives to the Environmental Protection Agency and others. The plan was developed under a 2010 EPA development grant, and was approved for the 2011-2016 time period. See also the original plan Oregon's Wetland Conservation Plan: Issue Analysis, Public Discussions & Recommendations (1995). 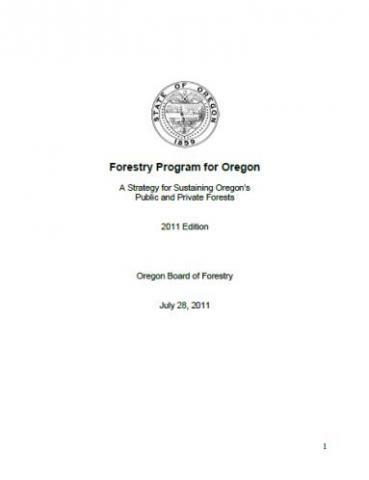 Forestry Program for Oregon: A Strategy for Sustaining Oregon's Public and Private Forests. Oregon Board of Forestry. July 2011. The Board's mission is to implement policies and programs that promote sustainable management of Oregon's public and private forests. Oregon Environmental Literacy Plan: Toward a Sustainable Future. Oregon Environmental Literacy Task Force. October 1, 2010. The Plan is designed to ensure that every student in Oregon becomes a lifelong steward of their environment and community, willing and able to exercise the rights and responsibilities of environmental citizenship, choosing to interact frequently with the outdoor environment, equipped with multifaceted knowledge of our relationship to the environment and its resources, and prepared to address challenges with sound decisions for our future. 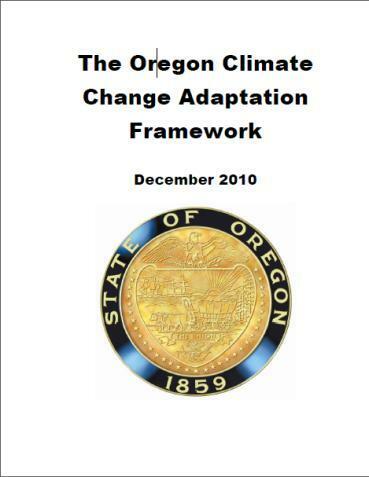 Oregon Climate Change Adaptation Framework. State of Oregon. December 2010. This report constitutes a framework for the continued development of strategies and plans to address future climate conditions. The framework provides context, identifies risks, lays out short-term priorities, and provides momentum and direction for Oregon to prepare for future climate change. The framework has been developed in parallel with the Oregon Climate Assessment Report (OCAR) by the Oregon Climate Change Research Institute (OCCRI). Statewide Comprehensive Outdoor Recreation Plan: Ensuring Oregon's Outdoor Legacy, 2013-2017. Oregon Parks and Recreation Department. The state-wide comprehensive Outdoor Recreation plan constitutes Oregon’s basic five-year plan for outdoor recreation. The plan guides the use of Land and Water Conservation Fund (LWCF) funds that come into the state, provides guidance for other Oregon Parks and Recreation Department (OPRD)-administered grant programs, and provides recommendations to guide federal, state, and local units of government, as well as the private sector in making policy and planning decisions. Oregon Conservation Strategy. Oregon Department of Fish and Wildlife. February 2006. A blueprint for conservation of the state’s native fish and wildlife and their habitats, the Strategy provides information on at-risk species and habitats, identifies key issues affecting them and recommends actions. Columbia River Gorge Management Plan. 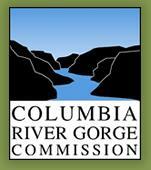 Columbia River Gorge Commission. 2004. The Management Plan for the Scenic Area is based upon a vision created by Congress, the Gorge Commission, the U.S. Forest Service, county and city governments, state and federal agencies, Indian tribal governments, concerned citizens, and interest groups. The vision provides a sense about the future of the Gorge 20, 50, or 100 years from now. A primary purpose of the Management Plan is to ensure that land in the Scenic Area is used consistently with the purposes and standards of the Scenic Area Act. 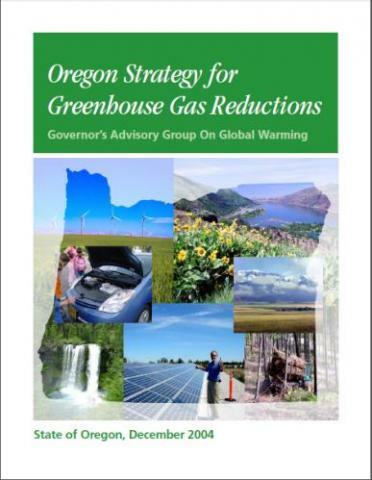 Oregon Strategy for Greenhouse Gas Reductions. Governor’s Advisory Group On Global Warming. December 2004. This report complements the agenda of the West Coast Governors´ Initiative on Global Warming undertaken by the governors of California, Oregon and Washington to address greenhouse gas emissions at a state and regional level. Oregon Plan for Salmon and Watersheds. The Oregon Plan : Restoring an Oregon Legacy through Cooperative Efforts. Oregon Coastal Salmon Restoration Initiative. 1997. The plan is designed to improve and protect clean water and recover and maintain healthy populations of fish and wildlife in Oregon's watersheds. 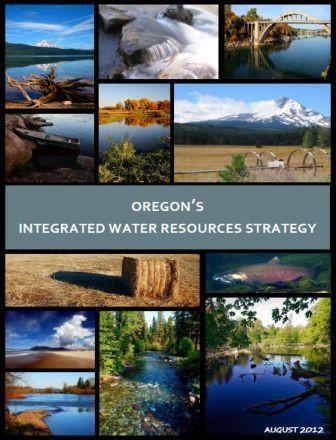 See also the Oregon Watershed Enhancement Board's site for the original 1997 report and biennial reports on the plan. Wildlife Management Plans. Oregon Department of Fish and Wildlife. Wildlife Division. Many of Oregon’s game, threatened or endangered species have their own management plans. These plans address issues like ideal population size, responding when these animals cause damage, sport hunting, species interaction with humans and other wildlife species, recent research, and other issues. Conservation and Recovery Plans. Oregon Department of Fish and Wildlife. Fish Division. The Oregon Department of Fish and Wildlife is leading or participating in several recovery or conservation planning efforts. The plans address legal requirements for recovery planning, and will evolve over time with the acquisition of new information, including the assessment of the success of recovery actions implemented. Agricultural Water Quality Management Plans and Rules (by basin and subbasin). The Oregon Department of Agriculture (ODA). (Date varies). The ODA Natural Resources Division’s Agricultural Water Quality Management Program provides an interactive map of existing agricultural water quality management plans by basin and sub-basin. In addition the comprehensive Agricultural Water Quality website provides in-depth information on the program.The Agricultural Water Quality Management Program works with farmers and ranchers to develop water quality plans that address water pollution associated with agricultural lands and activities. 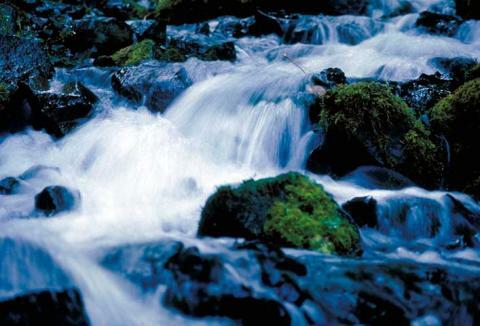 Oregon Department of Environmental Quality: Water Quality Program. The Oregon Department of Environmental Quality (DEQ) Water Quality Program's mission is to protect and improve Oregon's water quality. Protecting Oregon's rivers, lakes, streams and groundwater quality keeps these waters safe for a multitude of beneficial uses such as drinking water, fish habitat, recreation and irrigation. To help protect, improve and enhance the quality of Oregon waterways, DEQ conducts in-depth assessments of the state’s basins. These assessments take the form of local water quality status and action plans, which describe water quality conditions and include recommendations for actions that DEQ and others who are interested in these basins can take to improve water quality. A TMDL is a plan to improve water quality to ensure that the streams are healthy for humans, fish and wildlife. A TMDL is the maximum amount of pollutant that can be present in a waterbody while meeting water quality standards. These maximum allowable pollutant loads are assigned to contributing sources, typically to land use authorities. The TMDL document includes a water quality management plan with strategies and approaches for implementing the TMDLs.